As an expat moving to a new place it is necessary to make sure that there is a good health care they can rely on. 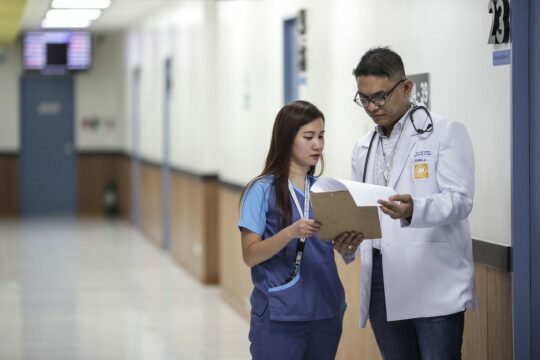 Apart from being a reliable hospital who they can trust, expats obviously need to make sure that the staffs especially the doctors of the hospitals speak English or better other languages too. For travellers, make sure that you have your travel insurance ready. Depending on what attention you need from the medical professionals, it's hard to say how much it would cost. While being an expat, make sure you have a medical emergency on your moving budget to Vietnam. If you are backpacking in Vietnam or motorbiking in Vietnam, make sure you have these addresses and contact number handy for the places you are going. It's really better to be safe that sorry. Either you are an expat, local or even a traveller, here is a list of medical clinics and international hospital across Vietnam. Don't be an easy go lucky and reckless like most traveller or expats in Vietnam, make sure you have yourself covered for medical and other emergencies. To avoid spending too much money on medical services, get yourself an insurance as soon as possible. Even though the expenses for medical assistance in Vietnam is relatively cheap. But if you want to be in an international hospital or have doctors who can speak with your without any language barrier and are educated abroad, the only way is you being able to spend money. To be worry-free from this possible situation, find out the best and most affordable insurance that fit your needs out there. In Move To Vietnam, when it comes to serious matter like this, we only recommend services that we personally used and trusted. Trekking in the muddy Sa Pa or riding your motorbike are both prone to risk, make sure to list down the name of the clinics and hospitals, their contact number, address, and other information and tuck them in your backpack and/phone. Sa Pa General Hospital is a local hospital and there is a big chance you might have a hard time communicating just by yourself if you are an expat or traveller. Bring a local friend with you or try your receptionist to help you communicate with the staffs. Even a lot of travellers go to Lao Cai, it is still a small town and the chance of finding an English speaking staff can be difficult. If you can't grab a local with you, try to ask them to write down the questions you have. Make sure you have data on your phone to be able to use a translating app. The capital of Vietnam, Hanoi, is full of tourists and expats, resulting in international hospitals popping out to ease the worries that travellers and expats have when visiting and moving to Vietnam. Is a 100% foreign owned hospital (by French Doctors) is one of the favourite hospitals in Hanoi. You can easily find English speaking staffs and doctors. They also use modern technology and practices. They offer counselling, treatment, consulting, and other medical services in at least 30 specialities for patients of all ages. Vinmec is under VinGroup, a very and well-known company in Vietnam. They are known for real estate business, in the past years, they have started building convenient stores, shopping malls, and hospitals all over Vietnam. Since this is an international hospital, you can expect that the staffs and doctors speak good English while their machines are very innovative as well. They are trusted by many locals and expats. International SOS Clinic is an ever-growing medical clinic which has 1,000 locations around the world. They have come to Vietnam a few years ago and managed to get on the field easily. Their staff speaks great English and cover different specialities. An international medical clinic in Vietnam which is liked by many foreigners both in Hanoi and Ho Chi Minh City. This medical clinic offers great service by making sure that there is no language barrier at all. Their team speaks other languages such as English, Spanish, Korean, Japanese, Russian, Portuguese, German, Italian, Hebrew, French, Dutch, Polish, Filipino, Chinese, and Malay. You can also call their 24/7 interpretation service for other languages. Ha Long Bay is popular for cruises and water activities, and crazy parties which sometimes end up in some situation where medical attention is needed. Vinmec got it covered, they built an international hospital to attend any traveller's medical needs. Quang Ninh General Hospital is popular among the locals of Ha Long while some tourist also goes here for minor health problems. Surprisingly, due to the number of tourists that go to Ha Long Bay, you can be lucky and find a few staffs here that speak English. 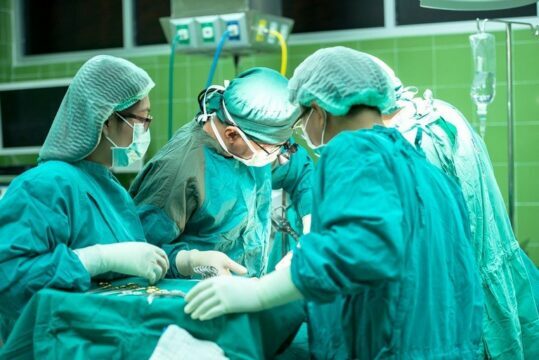 Unfortunately, there is no international hospital in Ninh Binh, however, you can still expect Ninh Binh General Hospital to attend your medical need. Remember to bring a local or translator with you. Vinmec hospitals can also be found in less touristy areas like Hai Phong, their foreign and local doctors are ready to provide medical services both to the locals and internationals. If there are serious situations, they might send the patient to a bigger hospital like in Hanoi or Ho Chi Minh City. Another international hospital that you can head to is HIH, they operate 24 hours a day, 7 days a week. They welcome both locals and internationals, their staff speaks very good English to assists the foreigners better. Hue Central Hospital is probably the only place an expat or tourist can go for a medical attention and expect an English speaking staff. However, it can be a hit and miss, to make sure, call their 24/7 telephone service or check the English page of their website. I was not joking when I mentioned before that Vingroup is a very massive brand in Vietnam. Their medical section, Vinmec, can be found even in Da Nang and ready to give service to those who need a medical assistance. Family Medical Practice is another international hospital/clinic in Vietnam. Expats from everywhere in the world can easily find a doctor that speaks their language. Make sure to mention if you prefer any specific language from your doctor before you set up a meeting. If you are looking for a more affordable option when visiting the doctor, alternatively, you can go to Hoan My Da Nang Hospital, however, be prepared to bring a local with you or a translator. Keep in mind their working hours as well. The to-go place for foreigners in Hoi An is Hoi An Medical Services, however, they offer limited medical services. Their staffs speak a conversational level of English while they also have a few foreign doctors. A semi international hospital offers great and wide medical services. Thai Binh Duong or Pacific Hospital is a better option since they cover a wider range of departments in the medical industry. With foreign doctors from all over the world and staffs that speak English to communicate with foreign patients, this hospital is pretty good for a small town like Hoi An. Lam Dong General Hospital is one of the good-sized general hospitals in Da Lat. Although they don't offer a 24/7 service, they are reliable for general medical attention that you need. Hoan My General Hospital is also a reliable alternative hospital in Da Lat, however, you have to remember to tag along with a local with you when you visit to help you in translation. Vinmec international hospital can also be found in Nha Trang. It's probably not the cheapest option, many foreigners and locals go here for any medical assistance they need. They offer 24-hour service, you may call their phone number first in case you are coming during irregular hours. VK Hospital is more of a local go-to place, however, they offer affordable services and general consulting. You can also find some staffs that speak good English (and Russian) while a few foreign doctors can assist you with your medical need as well. This is a good place for general consultation and minor medical attention that you need. If you are in a much serious situation, you should go to a general hospital instead. You should be able to find staffs that can communicate in English and Russian with you easily. Although with limited staffs that speaks English, An Phuoc is still a popular hospital to go for your general medical consultation. You can always head to Nha Trang for more advanced medical services and English speaking staffs. Vung Tau is a small beach town not far from Ho Chi Minh City where tourists and locals go for a weekend for a swim or simply to relax. Many retired and expats live here as well resulting in a few international hospitals like International SOS. Medicoast Hospital is a little larger than the International SOS. You can expect staffs to be speaking English pretty well. They have a wide range of medical services, however, for a more serious situation, they might send you to Ho Chi Minh City. Since there are many retired Australian are based in Vung Tau, it's no surprise that an Australian hospital can be found here. Ho Chi Minh City has plenty of medical clinics and international hospitals to choose from. 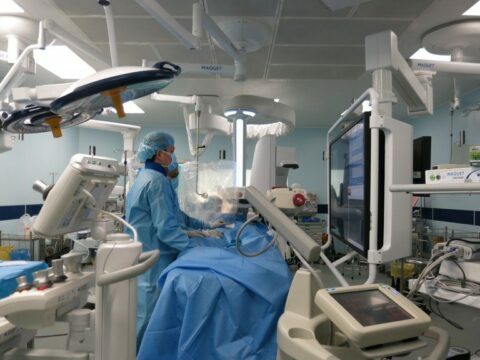 It is also believed that the most advanced medical machinery and most competitive doctors are based here. You will find many foreign doctors are working here. They have a hospital and a separate clinic in Ho Chi Minh City. While they also have a rep office in Phnom Penh, Cambodia. Franco-Vietnamese or FV Hospital is popular among expats and locals. Address: 3rd floor Bitexco Financial Tower, 2 Hai Trieu St., Ben Nghe Ward, Dist.1, HCMC. As expected, Vinmec also has their own hospital located in Ho Chi Minh City where they offer a very wide range of medical services, it's not the cheapest one you can find. However, it is trusted by many expats and locals for its professionalism and availability of English speaking staffs. Another international based medical clinic in Ho Chi Minh City, Family Medical Practice offers relatively affordable services. They are also popular for having staffs and doctors that speak more than one language. They accommodate English, French, Korean, Chinese, German, Italian, Polish, Spanish, Portuguese, and other major languages. They also have a worldwide medical evacuation service. This hospital is a chain of hospitals across Asia (India, Malaysia, Indonesia) is also popular in Vietnam. Armed with international doctors and very innovative medical machinery, Columbia Asia International Hospital is very reliable. However, their services can be pricey. Although without a 24/7 service, Centre Medical International is still popular for its reasonable prices for their medical services. They also have staffs that can communicate well in English and doctors that foreigners. Not only expats use their services but also locals. This is a local general hospital, therefore, if you are looking for any assistance and while you can't speak Vietnamese, you must bring a local or a translator with you to get a clear answer for your questions. Their website is also in Vietnamese even with a translate is still hard to understand its exact meaning. Vinmec International Hospital is the only one in Phu Quoc island, even though they have pretty good lists of services to offer, for more serious situations, they will more likely to send you to Ho Chi Minh City. You can also easily find staffs and doctors speaks English here. We hope that this list provided you with the answer you're looking for about best international hospitals in Vietnam. We tried to add as many as possible but we also tried to make sure to list the ones that were recommended to us, we personally have tried their services, and/or heard great feedback. If you think that we miss mentioning a few, please leave a comment below and why do you like or recommend them.